More news coming out of Paris Games Week on the Sony side of things. During their press conference on Tuesday, Michel Ancel came on stage to present the new IP he's been working called Wild. While it wasn't mentioned during the conference, it appears some form of multiplayer is being considered for the game; what's more, it may be inspired by Bloodborne. 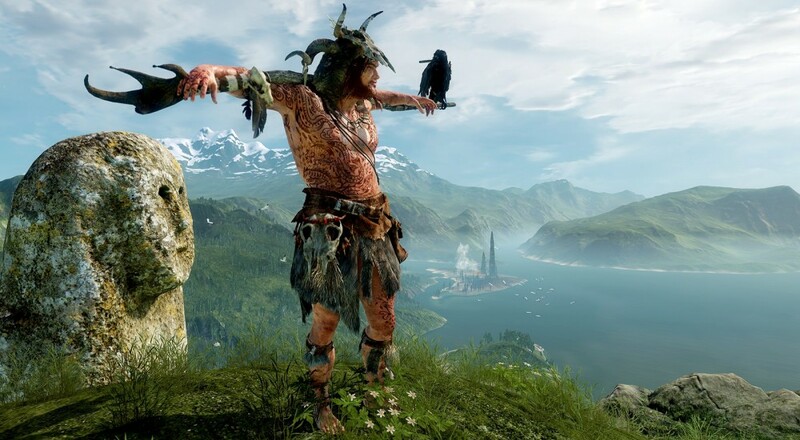 From the gameplay footage, Wild looks to be an open-world title where players are shamans capable of harnessing the power of nature. What powers those are are determined by you. Throughout the course of the game, players will encounter various animal divinities who will grant you power. Some of these may ask you to live as a particular animal for a period of time, while others may demand a sacrifice. No choice is "wrong" and it sounds like Ancel wants to avoid the usual good vs bad choices found in many RPG titles. ...Ancel did not show multiplayer in Paris. He notes that he’s been inspired by the multiplayer element of Bloodborne, and he hopes to bring similar ideas to Wild, like enabling gamers to invite other players into their worlds to either help or hinder their progress. So the game isn't going into our database until we learn more, but here's hoping that co-op will be added because I currently can't think of anything cooler than riding a pack of bears into battle with a group of friends. Page created in 0.6723 seconds.